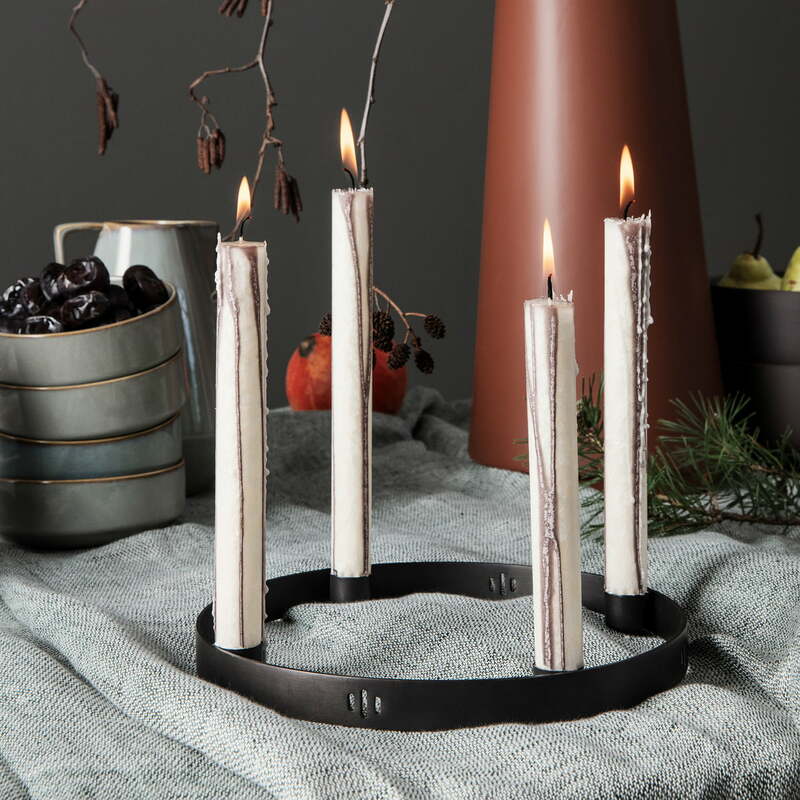 This round candleholder can be used throughout the whole year, but especially during advent time. 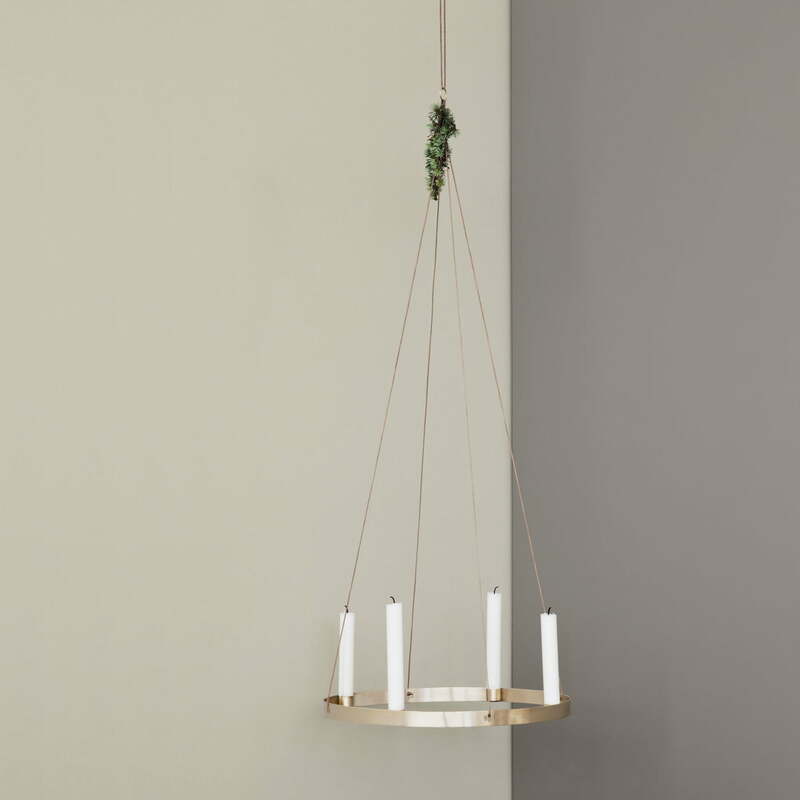 Whether as decoration on the table or as a hanging sculptural object thanks to the corresponding detachable leather straps. 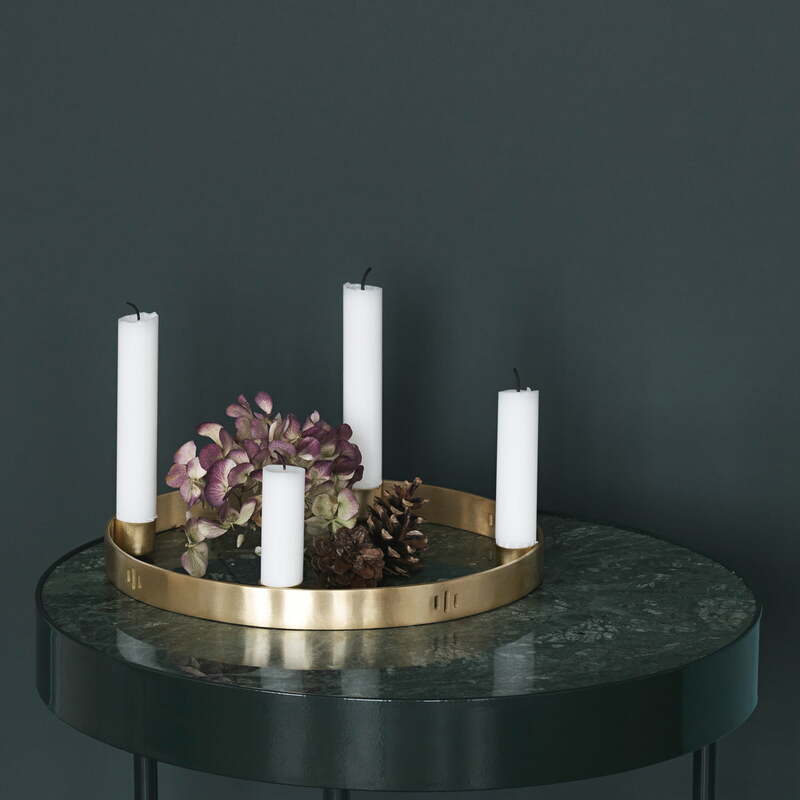 The brass candleholder Circle spreads special cosiness with up to four candles - not just for Christmas. 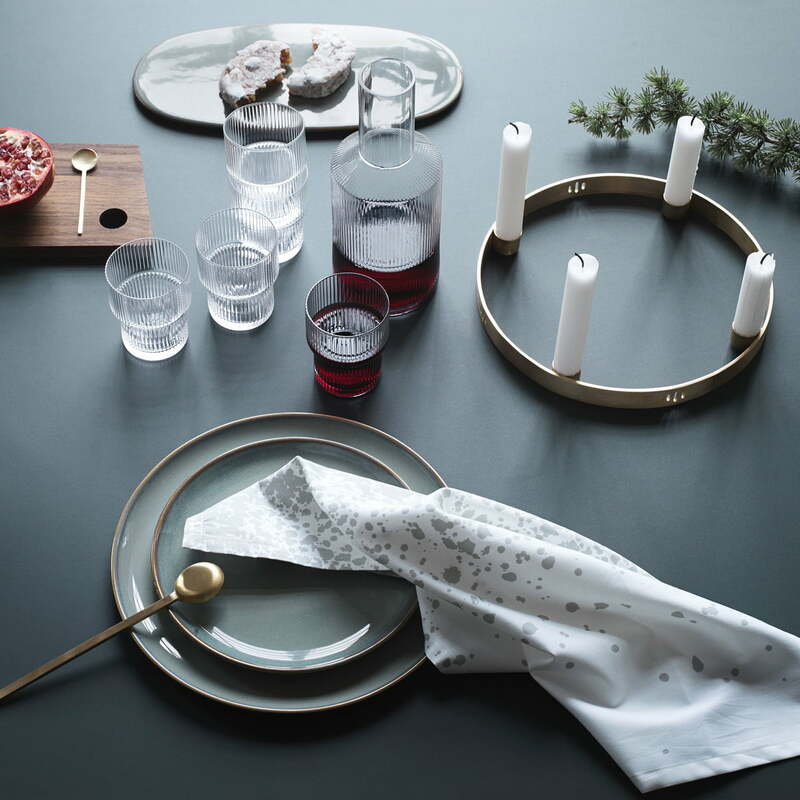 The graphical elements provide inspiration and match all the items of the ferm Living Christmas collection. The solid brass has been lacquered with a mat finish and is thus well protected. It may be cleaned using a damp cloth and the material can be polished after cleaning, if necessary. 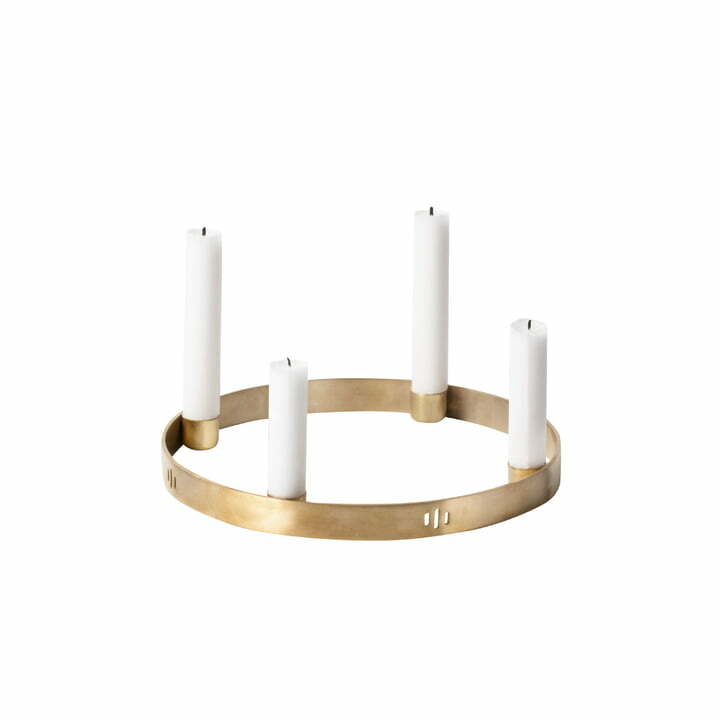 The Circle Candleholder is simple and elegant and spreads a harmonious atmosphere on tables or hanging from ceilings. 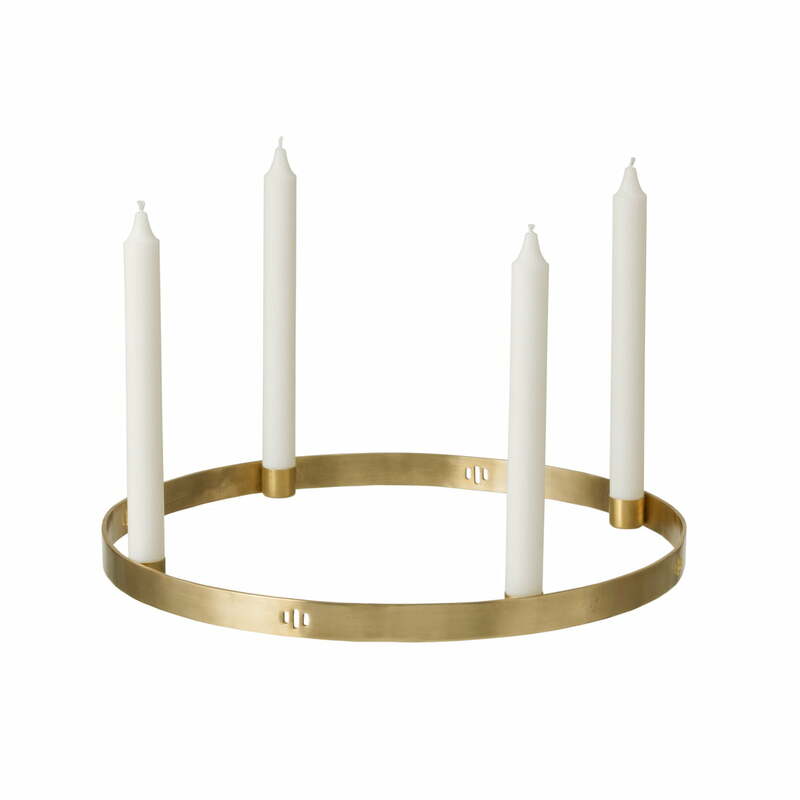 I can definitely recommend this Christmas (but not only Christmas) candleholder. 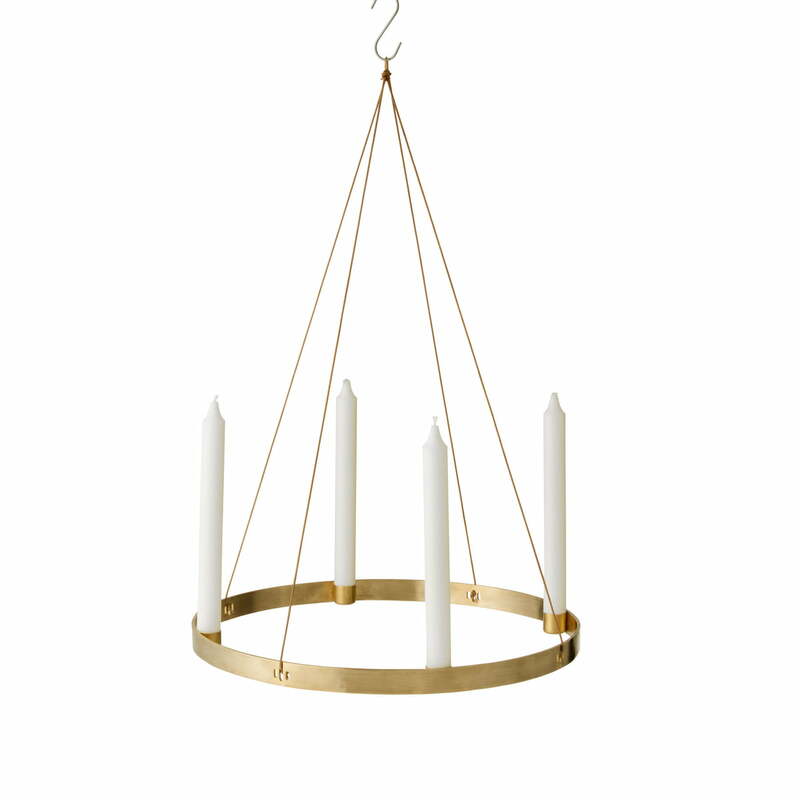 It is simple and beautiful. I love the material - bras - for its long lasting character. For those who want to save planet and don't use every year rubbish decorations, it is just perfect!